^ 2003 Malaysian Grand Prix - FRIDAY QUALIFYING. Formula1.com. Formula1.com Limited. [2013-08-24]. （原始内容存档于2013-08-24）. 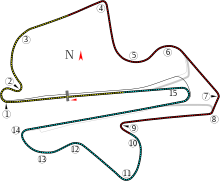 ^ 2003 Malaysian Grand Prix - RACE. Formula1.com. Formula1.com Limited. [2015-12-26]. （原始内容存档于2014-10-10）.